Aycliffe Business Park really is somewhere that is ‘making its mark.’ Increasingly it’s recognised for what it is, a major economic driver, not just for County Durham but for the whole of the North East region. Its importance is being further enhanced by the latest development at Forrest Park, where Durham County Council are part of a joint venture to develop a 48-hectare green-field site which is expected to create 3,200 manufacturing, logistics and office jobs. It’s a perfect example of the role of Business Durham who, working on behalf of Durham County Council, aims to deliver the environment for business and economic growth. It means getting everything right for any business whatever their size or sector. To help turn this into a reality Business Durham have a business support team who act as a knowledgeable and trusted guide, actively supporting businesses to grow. They can connect businesses with the right funding, advice, access to training, exporting, and networks they need to grow and thrive. It has delivered programmes exclusive to Aycliffe Business Park such as the Business Improvement and Growth workshops, delivered through the Durham Business Opportunities Programme (DBOP). A number of Aycliffe businesses have also benefitted from the Incubation Zone project, another DBOP project, supporting businesses that were keen to showcase their products and services to potential new customers but who didn’t have the experience to do this. They were helped to present at Oktoberfest, or EMCON as it is now known, in 2017 and 2018, and for those who are interested businesses are now being recruited for the third phase of the support programme. Business Durham also works closely with partners to encourage an enterprise culture, helping entrepreneurs to turn bright ideas into successful reality and students to develop enterprise skills to become our future business leaders. An example of this is the Future Business Magnates competition. This exciting and fun competition is open to secondary schools across the county, it aims to build enthusiasm in young people and introduces them to the basics of starting and running a business. School teams are supported by a business partner from a local firm who work with the team throughout the competition, lending their experience and expertise and guiding them in their first business venture, and a number of Aycliffe firms are long-standing supporters of the competition. Business Durham also supports ambitious entrepreneurs with the vision to start and scale up their business in Durham through the Durham City Incubator (DCI). DCI was recently launched by Business Durham in association with Durham University and New College Durham. It’s a six-month accelerator programme for entrepreneurs and growing businesses in County Durham, with a particular emphasis on encouraging student and graduate talent to apply. 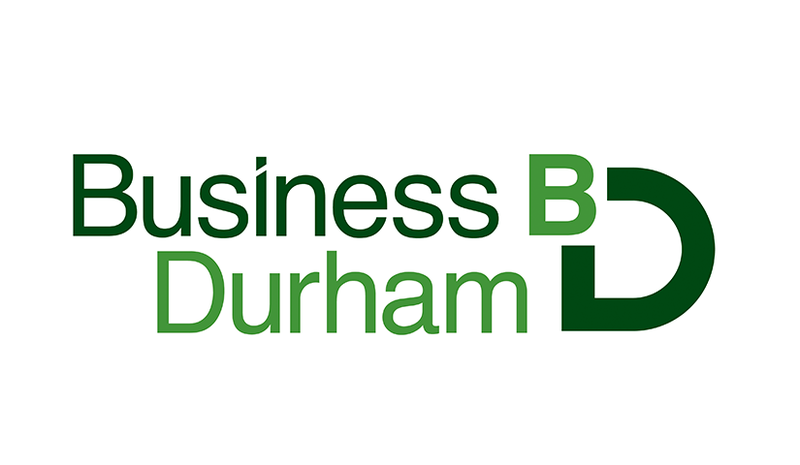 Business Durham’s support doesn’t end there, the DBOP team deliver strands of intensive support to businesses in the childcare, creative, food and drink, and engineering and manufacturing sectors. Earlier this year a new strand ‘routes to success’ was launched to provide businesses with access to new and existing tenders in the private and public sectors. Every business needs a place to call home, and Business Durham can also provide that. Ranging from virtual offices, incubator space, industrial units, office space of varying sizes and modern laboratories. Business Durham manages a portfolio of business property and excels in finding the right space for businesses to grow. For companies who are looking to grow in the county, Business Durham can provide funding through the Finance Durham fund. Businesses can apply for funds range between £200,000 to £700,000 and need to be based in County Durham or be relocating to the region when the investment is made. Business Durham also has a new capital grants programme, the County Durham Growth Fund, for businesses that are making significant investments in premises and capital equipment in order to expand their operations in the County. As well as supporting local companies, Business Durham attracts capital and inward investment to the county. With so much to offer, County Durham is a truly attractive option for those businesses seeking to relocate. Above all, Business Durham builds long-term relationships to encourage sustainable growth in businesses. Supporting the aspirations of business people across the county helping to make Durham a place where business is done. Business Durham is sponsoring Company of the Year at the Make Your Mark Awards 2019. Find out more about this company by visiting their website here. Tickets for the Make Your Mark Awards on Wednesday 1st May are available to purchase via Paypal now!